Miles Scott, who lives in Tuelake in far California, just south of the Oregon border, was diagnosed with Leukemia when he was 18 months old. Treatment ended and he went into remission in June; not before he informed the Make-A-Wish foundation that his greatest dream was to become Batman, The Caped Crusader, for one day. 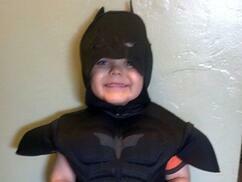 Being the gracious foundation they are, Make-A-Wish granted him his dream of being Batman. Along with the foundation, the entire city of San Francisco came together to put on a wonderful reenactment for this brave young boy. An estimated 7,000 enthusiastic locals volunteered on Friday, November 15th, turning San Francisco into Gotham City, allowing Miles to jump into action saving a damsel in distress, prevented the Riddler form robbing a bank and rescued the San Francisco Giants mascot, Lou the Seal, from the villain Penguin. 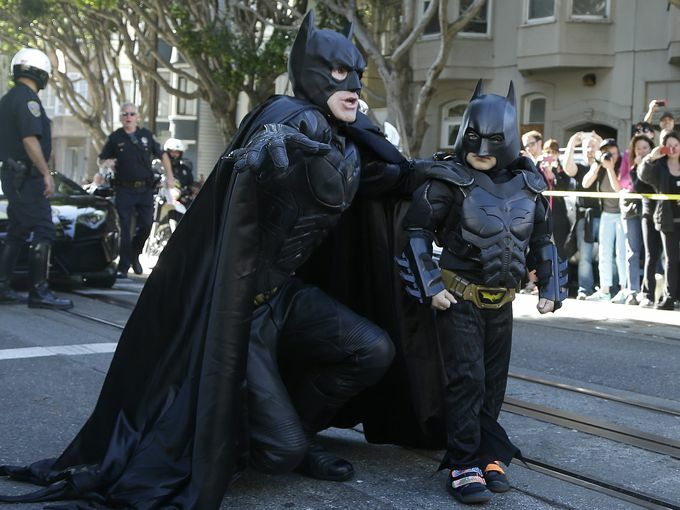 Batman and Batkid sprang into action, with the aid of a trampoline, as the crowd roared. They rescued the woman and disabled a plastic replica bomb she was tied to. In order to make the whole act realistic, the justice department issued a formal indictment against the Riddler and Penguin, taking them both into custody. Miles, aka Batkid, and Batman were transported around the city in a black Lamborghini, the side labeled with the bat symbol. Patricia Wilson, the executive director for Make-A-Wish in the greater Bay Area stated, "I think it might be the first time a Lamborghini had a booster seat”. Miles' parents were so touched by the amount of generosity toward their 5-year-old, they have decided to be partnered with the San Francisco 49ers to start a nonprofit, The Batkid Fund, which aims to help other parents whose children are fighting serious diseases. Donations to the fund will be funneled back to the Make-a-Wish Greater Bay Area and to two Oregon organizations that helped Miles and his family during his illness: Asante Rogue Regional Medical Center in Medford and Ronald McDonald House Charities of Oregon and Southwest Washington where the family stayed in 2010.